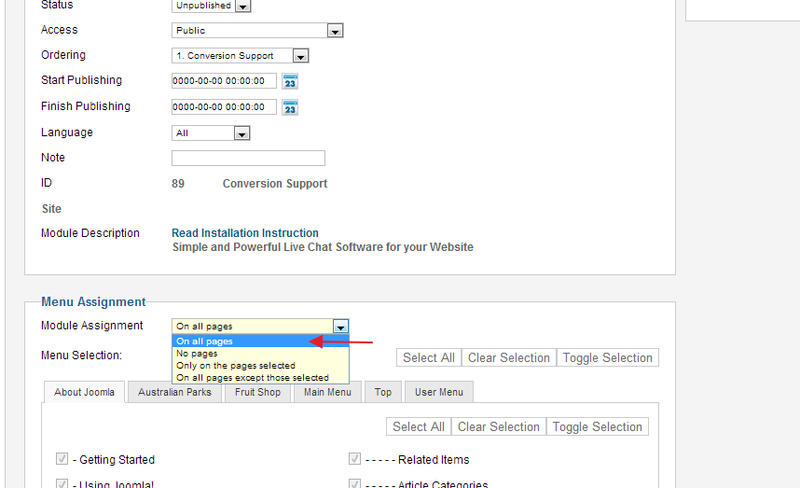 If you have a website powered by Joomla content management system, you can use Conversion Support’s Joomla module to integrate live chat within your Joomla website. Note: The tutorial assumes that you have already created your Conversion Support account. If you haven’t created your account yet, you can sign up here. 1. 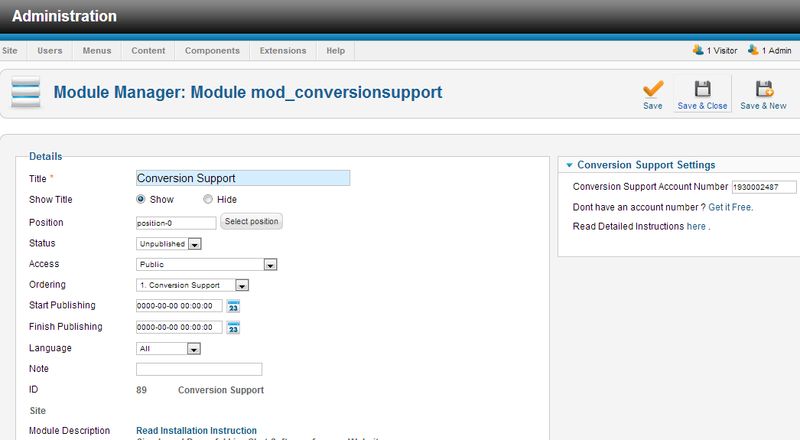 Download Conversion Support’s Joomla module. 2. Login to your website’s Joomla administration area. 3. 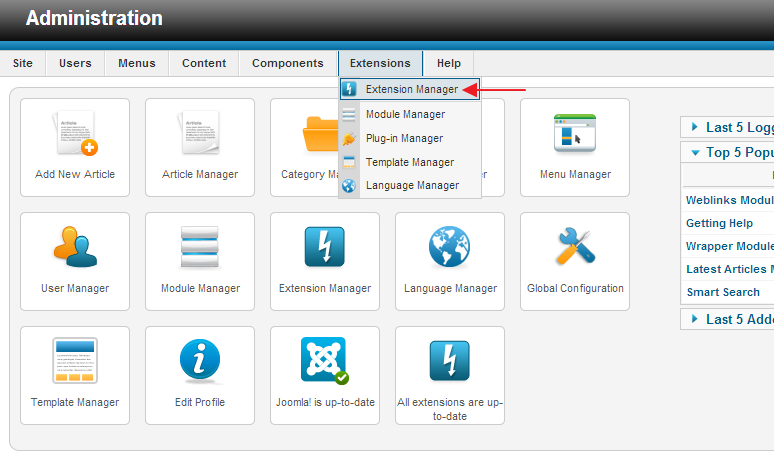 Go to “Extensions” and click on “Extension Manager”. 4. 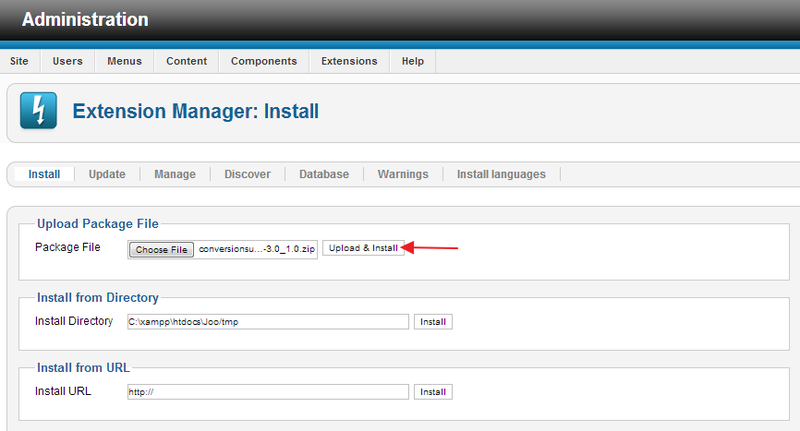 In “Extension Manager”, click on “Install” and select “Choose package file”. Click on “choose file”, search and select the zip file you downloaded earlier. 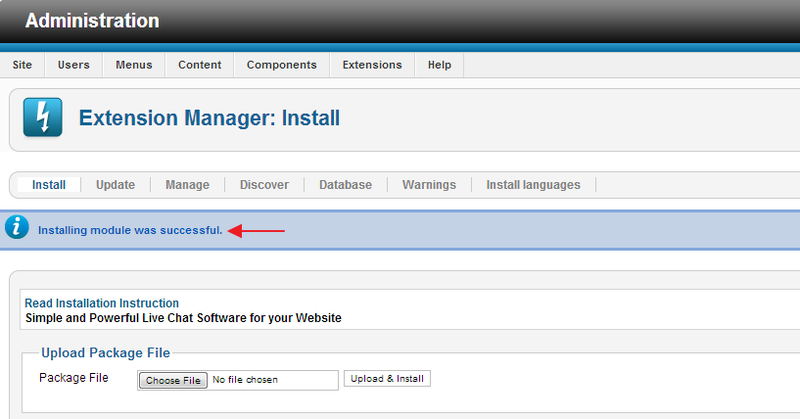 Next, click on “Upload and install”. 5. 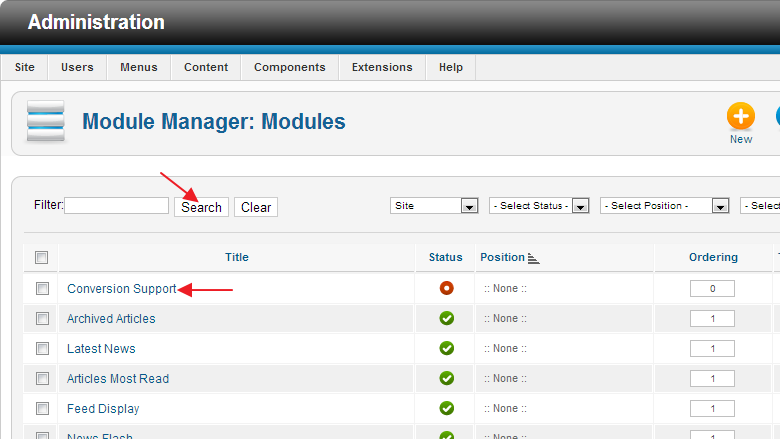 Now, navigate to “Extensions” and click on “Module manager”. 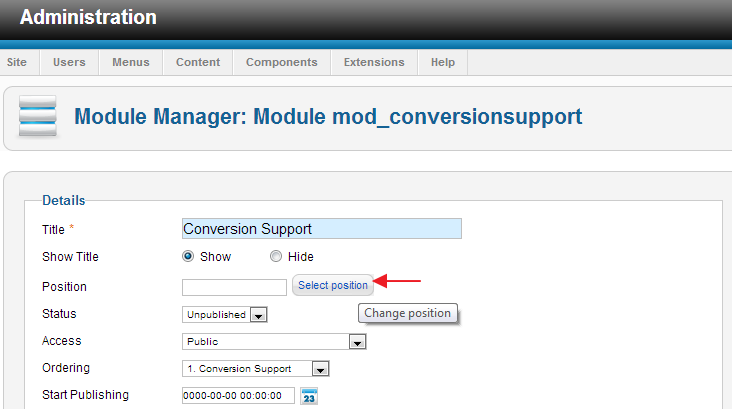 Once you are in the “Module Manager” page, search for “Conversion Support” and click on it. 6. 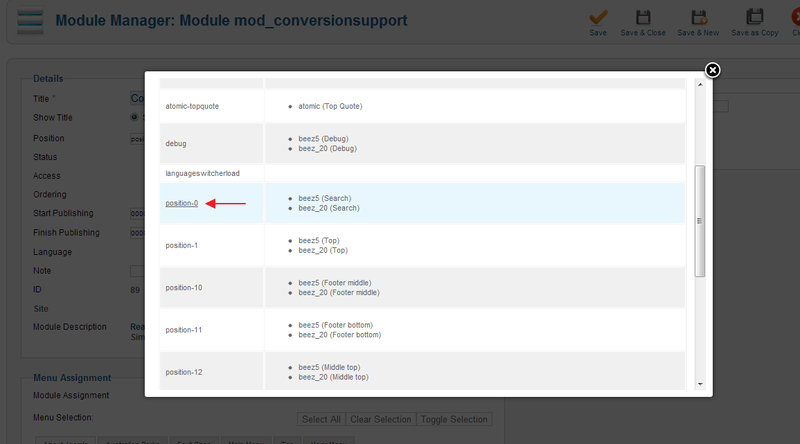 When you are on the Conversion Support module page, you need to enter your unique Conversion Support account number in the module settings. Please note that you need to update your Conversion Support Account Number in the “Options” tab, first in order to activate the plugin. 7. Once you have copied your Conversion Support account number, fall back to your website’s Joomla administration area and paste the account number in Conversion Support’s module settings. 8. Next, you need to select the position where you want the “Start Chat” button to show up in your website. Click on “Select Position” and select your desired position. (e.g. position-0). Please note that any position can be chosen, this entirely depends where you want to show the “Start chat” button on your website. 9. Now that you have assigned a position for the “Start Chat” button, you need to choose the pages of your website where you want the “Start Chat” button to appear. You can choose to show the “Start Chat” button across all pages of your website or choose to show the “Start Chat” button on selected pages. Go to “Menu Assignment” and select your preference from module assignment. Once these changes are done, click on “Save & close”. 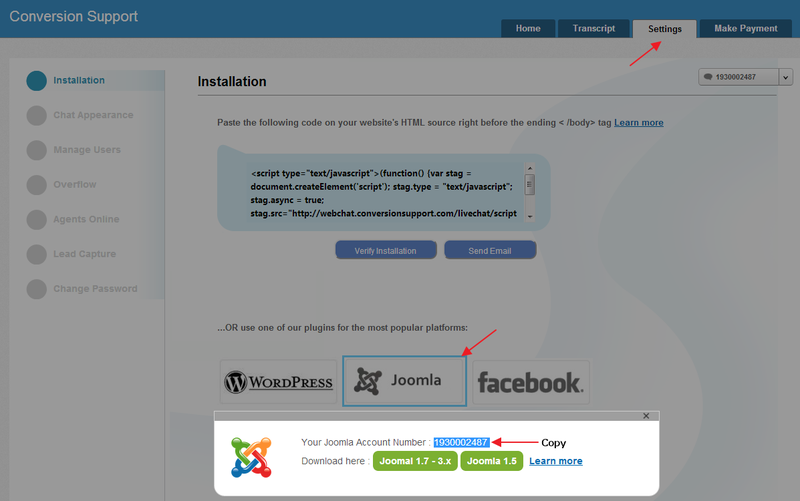 Now, reload your Joomla website and you should see the “Chat Live now” icon on your Joomla webpage. Congratulations, you have successfully installed Conversion Support’s live chat module on your Joomla website. Now, you are ready to take chats from your website visitors. Have questions? Need help in getting the module installed? Please contact us or write to us at support@conversionsupport.com.